Looking for the perfect souvenirs to remember your special night? 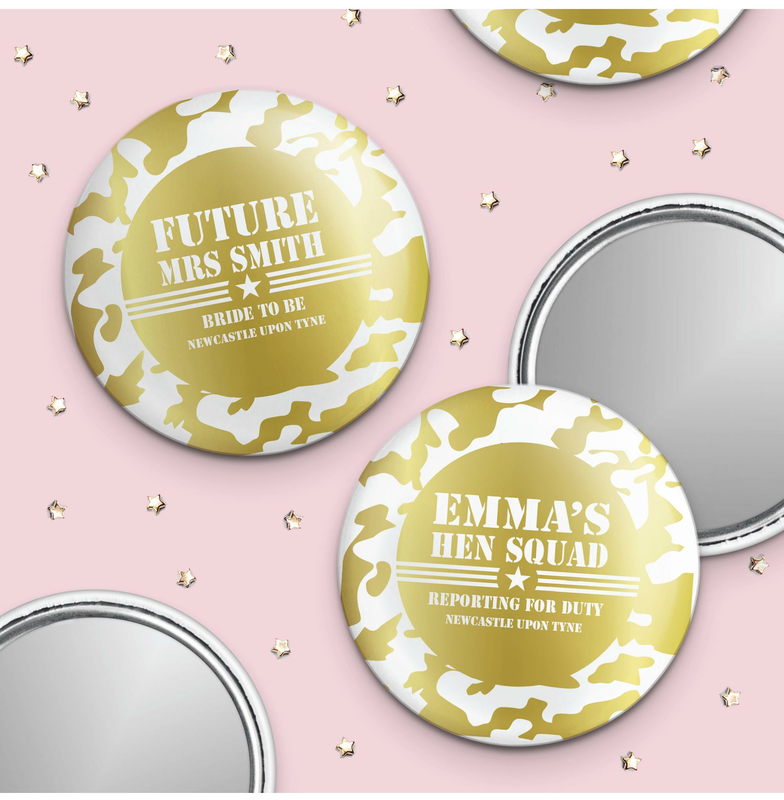 Why not give your guests these cute Swirly Design Personalised Hen Party Pocket Mirrors; they're the perfect memorabilia that is also practical every day! Each pocket mirror is 5.5cm in diameter and on the reverse the pink background features your personalised message. Don't forget that Hen Party Superstore carries a huge range of gifts and novelty items for your hen night. Spend £40 or more and you will receive free UK delivery.